Congratulations, you just got a shiny new iPhone XS in your hands! But now comes the tough part: protecting that gorgeous new phone. Whether you want to go naked or put a case on it, you should always have at least a screen protector to keep that glass panel safe and sound. Here are our top recommendations. 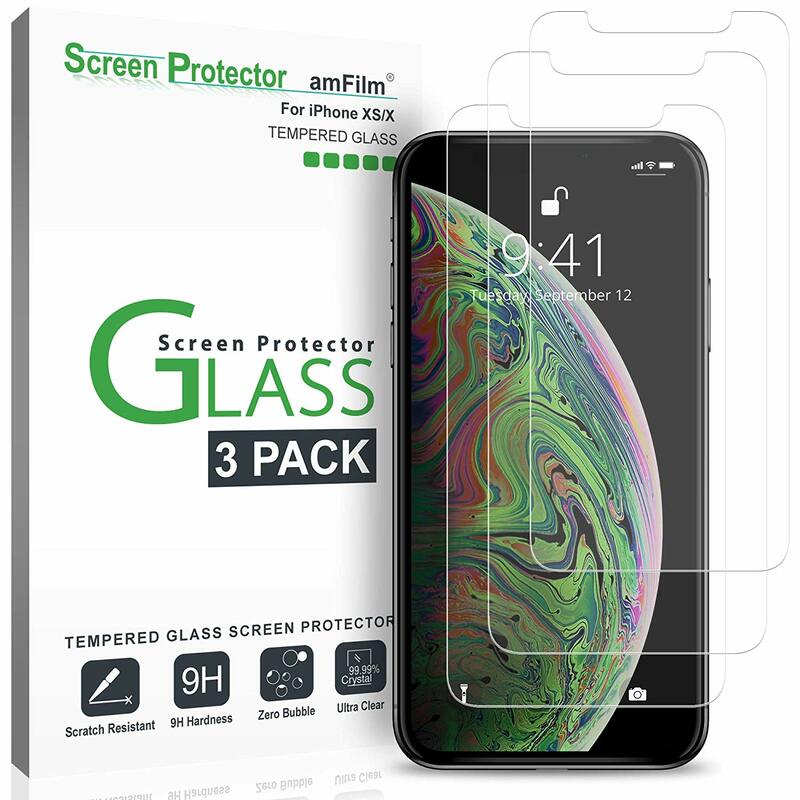 amFilm provides three high-quality tempered glass screen protectors for a great price on Amazon, and we've seen them on sale for even less. You also get a microfiber cloth, dust removal stickers, three alcohol cleaning wet wipes, and a full guide on how to ensure the perfect installation. Plus, if you do mess up, you have two other chances to get it right. 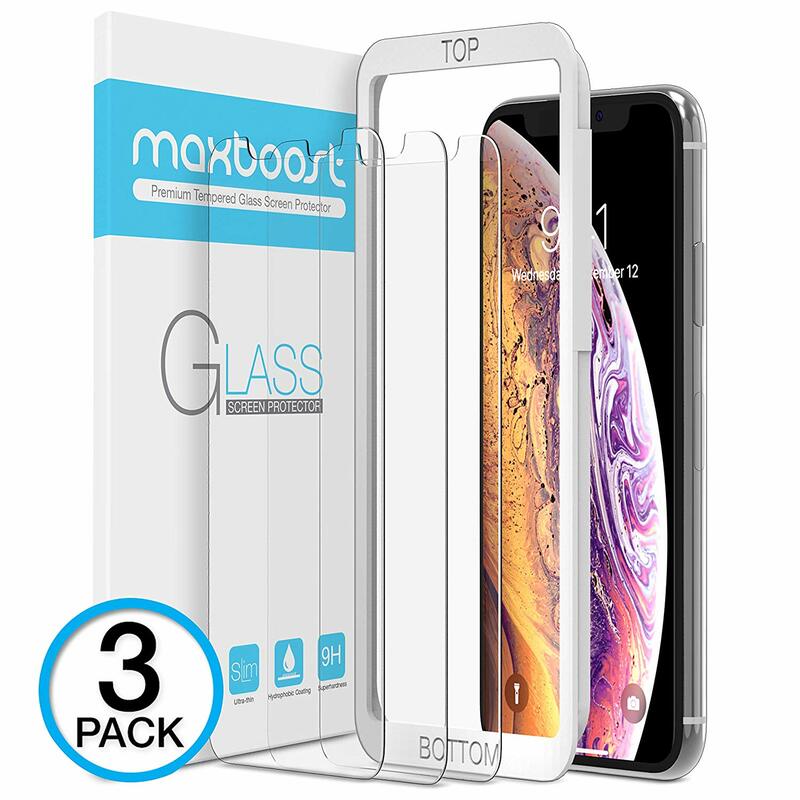 The Maxboost screen protector is made from tempered glass and is incredibly thin at only 0.25mm thickness compared to other options. It also sports an open-edge design to make it compatible with your favorite case. You also get three of them in a single pack, though the price is a tad higher than the amFilm. 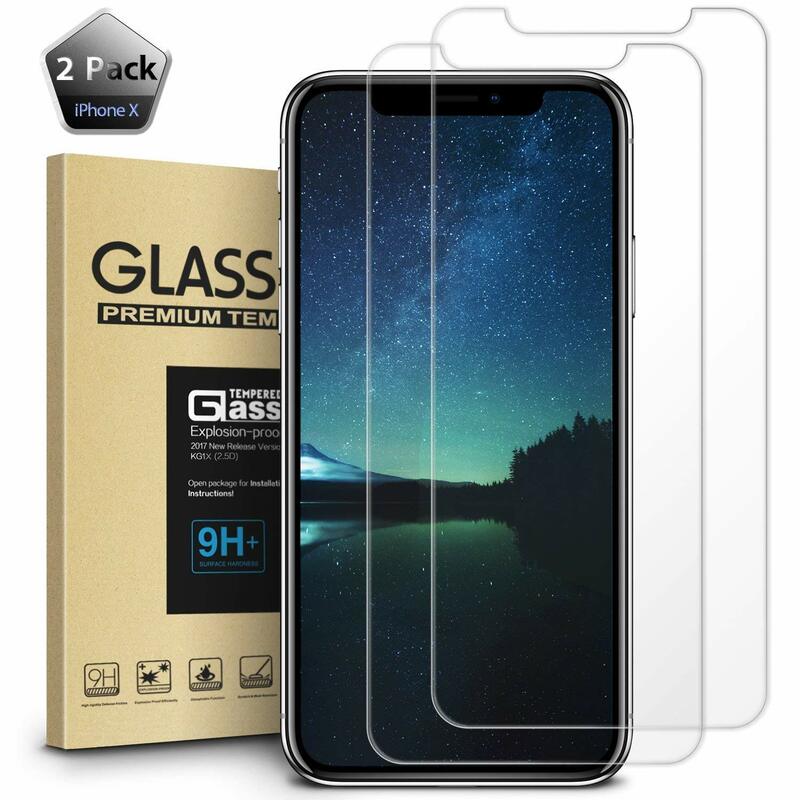 The KG1X tempered glass screen protector from Yesgo is great for those who prefer bargains without making sacrifices. It includes everything you need to ensure easy installation, and you get two for a low price. The protectors themselves are fairly durable, and there's a lifetime warranty in case anything goes wrong. Anker is a trusted brand name in the tech industry, so you know you're getting quality with the GlassGuard 2-pack. The GlassGuard also provides double the defense to your screen, since it's composed of two layers rather than one. Anker even includes everything you need for fast and simple installation. 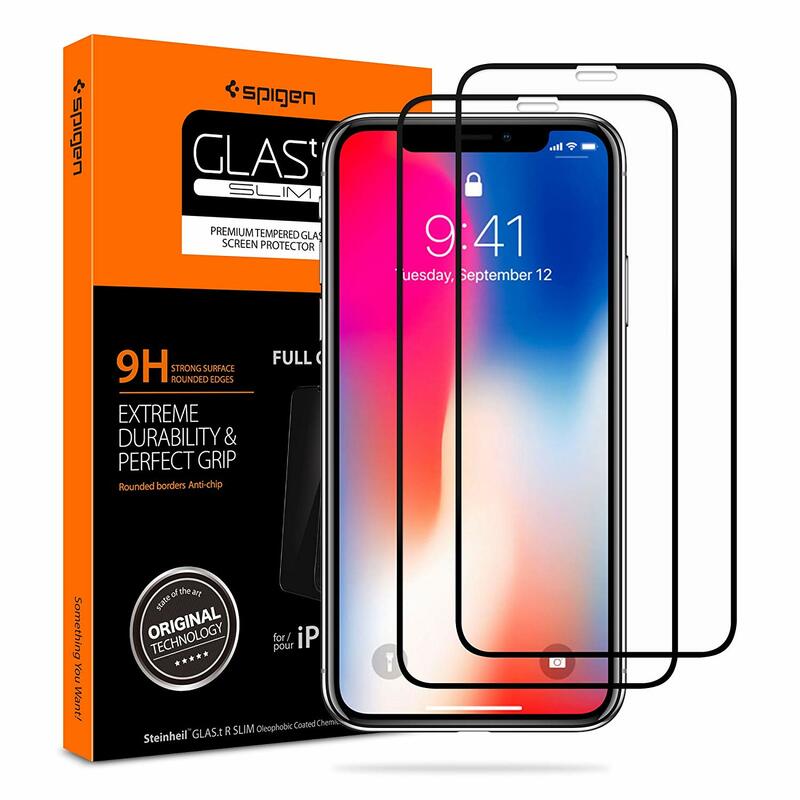 Spigen is another popular brand for smartphone accessories, and you may even have some Spigen cases ready to go for your new iPhone Xs. The Spigen Tempered Glass Screen Protector provides durable protection for your iPhone XS while it's nestled safely in your Spigen case of choice. It includes installation wings to make it easy to apply, and you get two, just in case. 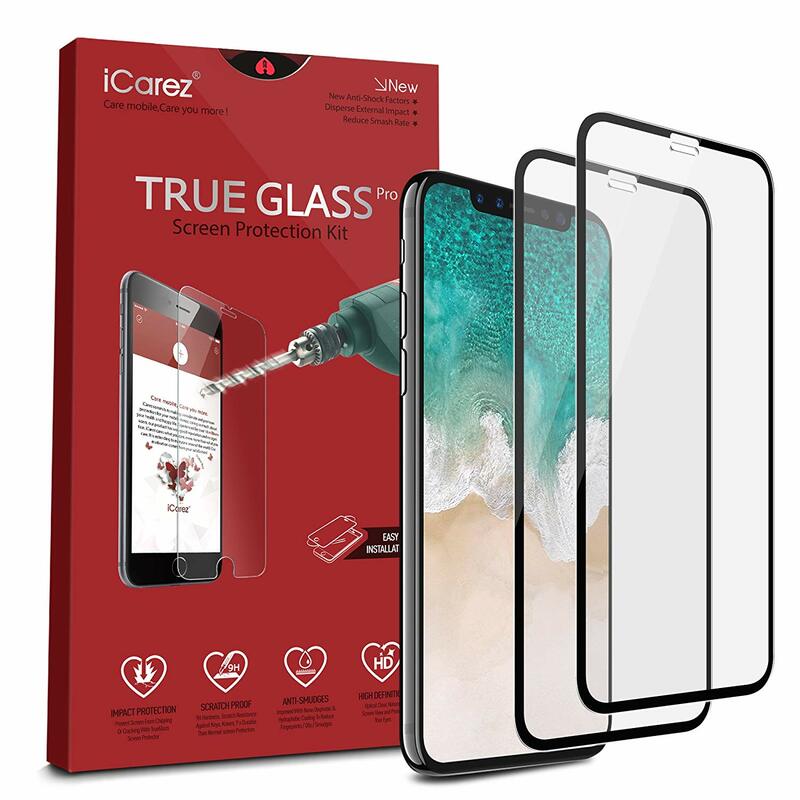 With the iCarez Full Coverage Screen Protector, you're getting one of the most durable protectors around. It also uses dry install, so there's no need to put a liquid on the screen to make it stay. iCarez also offers high transparency glass, so you get the most out of your Retina screen for a reasonable price. 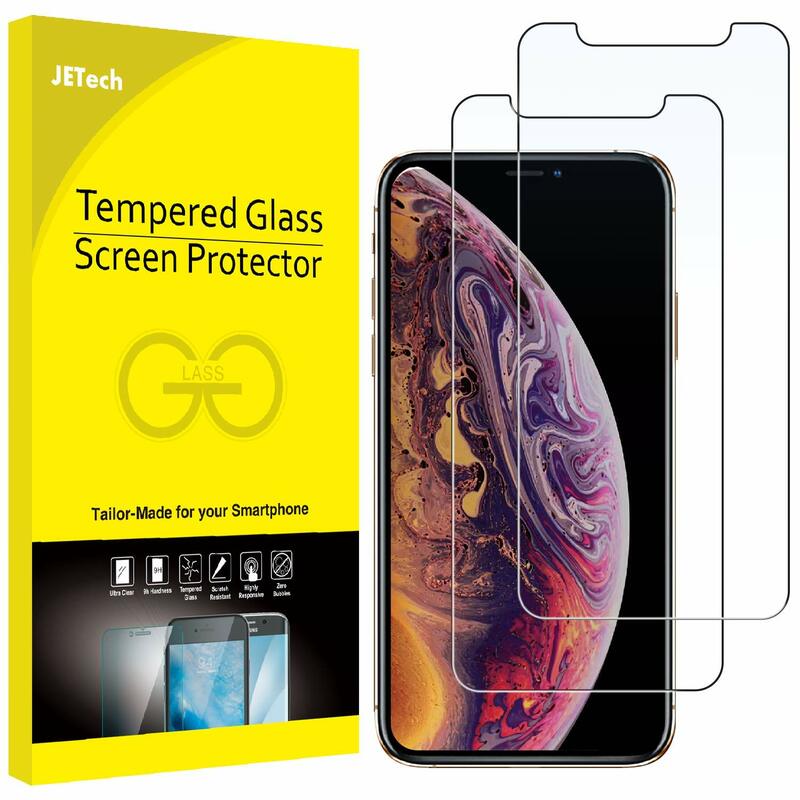 JETech's Tempered Screen Protector for iPhone XS/X is one of the better-priced options out there without sacrificing much. With JETech, you get a screen protector that looks flush and feels like your device's screen itself, and it's reasonably priced. 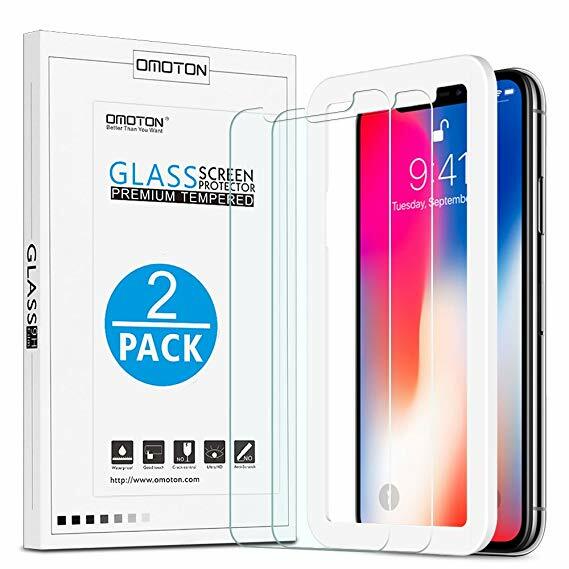 When money's tight but you still want a great product, turn to OMOTON HD tempered screen protectors. These provide maximum protection for the screen area and are compatible with cases so you don't sacrifice any protection. You also get two of them for a low price, so there's a spare if you need it. You just dropped over $1,000 on a new phone, so the least you should do is ensure it's protected and maintained well. These are the best screen protectors that we know of on Amazon, and none of them are too expensive. 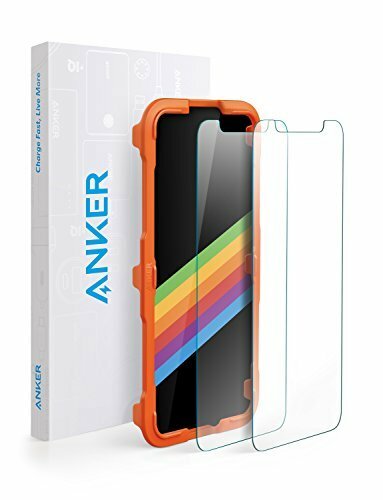 Personally, I went with the amFilm for my iPhone XS because its Nintendo Switch tempered screen protectors are still going strong on my console, so I trust the quality.